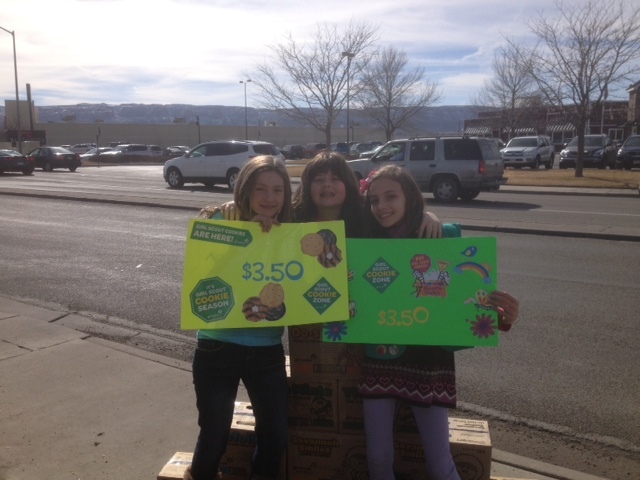 WHO doesn’t just LOVE Girl Scout cookies?? They are an American institution. We all remember them from our youth and the nostalgia alone is enough to make these treats “fly off the shelves”! Even with the ever increasing prices, people BUY! 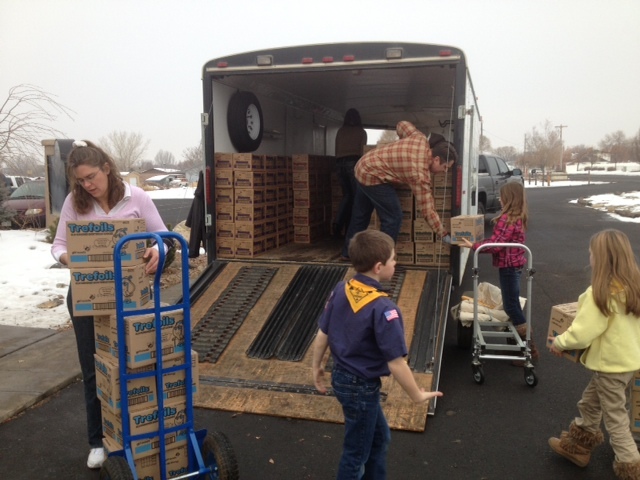 This year our troop sold an amazing 9,018 boxes, with nearly 600 of those sold being donated to our local “Home Town Heros” organizations, including Catholic Outreach (photos of the delivery to be “published” at a later date). 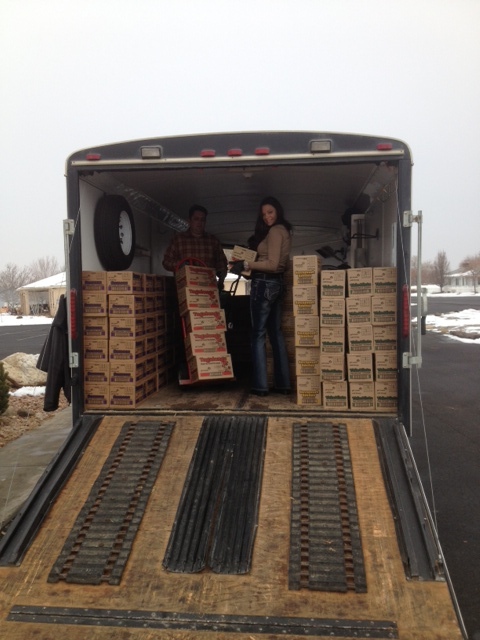 We are EXTREMELY grateful toTor Hayward, Hayward Ranch Outfitters, for allowing us to borrow his “toy hauler” to store our cookies during the entire cookie sale season and to Holy Family, for allowing us to keep it parked onsite the whole time! Yep, we leaders are sometimes INSANE! Usually, the insanity peaks for all 8 of us when we have our Annual Sleepover! 🙂 This year we had 100% of the girls sign up to participate in the overnight. We choose a different location each year. We have done this event at a museum, our church parish hall and this year we were allowed to use our school over night. We work on our My Promise/My Faith pin at this event. It is a fun-filled night of badgework/activities, yummy food and a movie before bedtime. This is sometimes the first time a girl has slept away from home and in 4 years of doing the event we have only ever had 1 girl want to go home! We call this a success!